1. 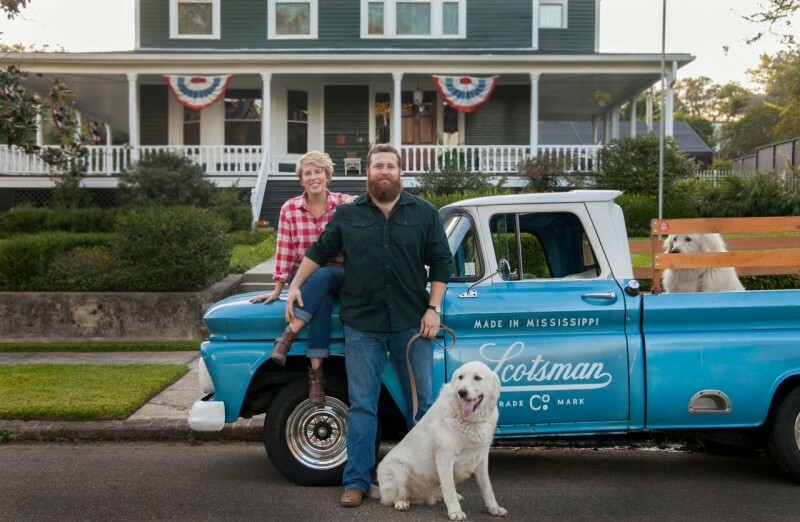 You may remember when Ben & Erin Napier shared their Craftsman cottage with us. It was a hugely popular post (still is). Then last year they shot a pilot for HGTV called “Home Town” and gave us the behind-the-scenes scoop about what it’s really like to be in front of the cameras (and to hang out with Chip & Joanna!). 2. “Grace & Frankie” return for a third season on Netflix. Are you watching the series “Feud” on FX about Joan Crawford & Bette Davis? I love stories about old Hollywood, so I’m eating it up! You can see Davis’s Sugar Hill farm house here. 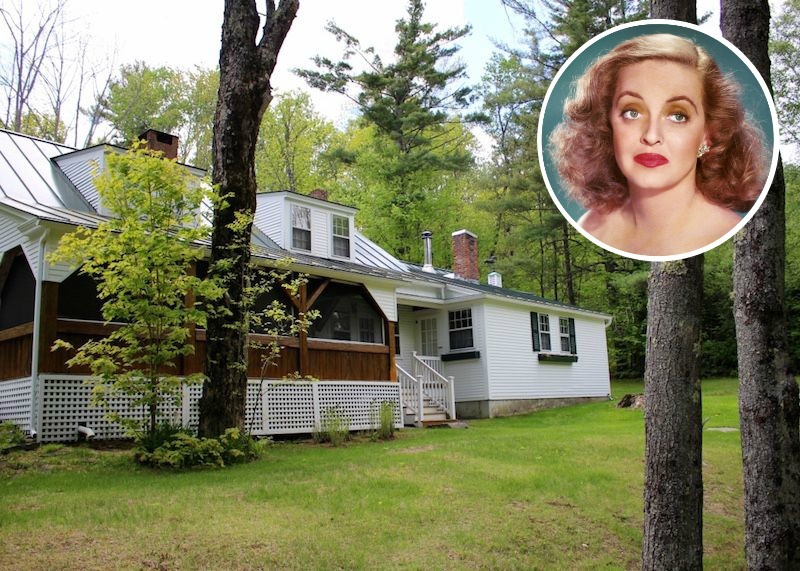 The mansion where “Mommie Dearest” was filmed went on the market last year for $35 million and it looks a lot like the one they designed for Crawford in “Feud,” sweeping staircase and all. Also, as a classic-movie fan, I would be remiss if I didn’t also direct you to my post about “Mildred Pierce,” the movie Crawford won an Academy Award for in 1945. Some great sets in that one! 4. Beach House Alert: “Big Little Lies” has some amazing ones. They filmed the HBO series on location in real beach houses, mostly in Malibu. Celeste’s is the only one that’s actually in the Monterey area. Do you have a favorite? 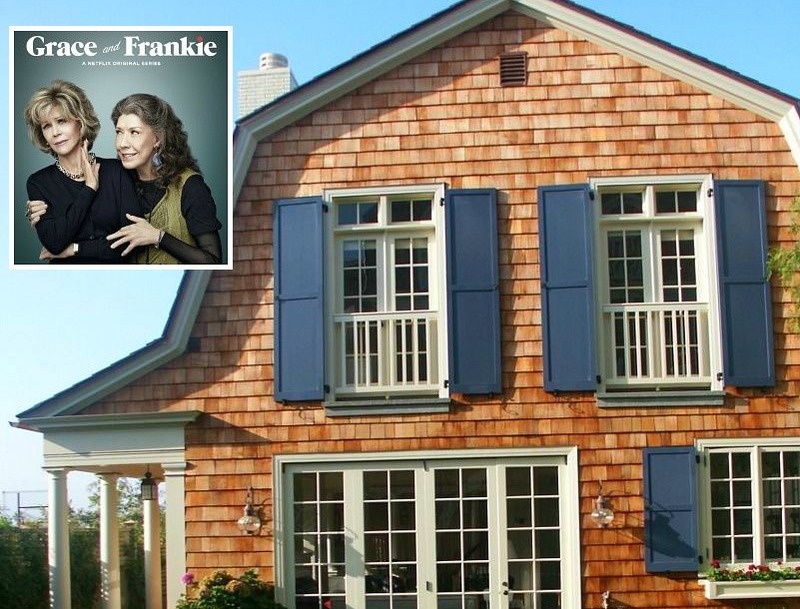 Do you recognize Renata’s beach house (below)? It’s the same one Nolan Ross lived in on “Revenge”! You can see the pics at the end of this post. What do you think of the series? I loved the book and preferred it, but it’s still fun to see stars like Reese Witherspoon and Nicole Kidman embodying those characters. Reese’s Madeline is so uptight and on edge, I get stressed just watching her, ha. Wow, fun post today! Love the new HBO show, “big, little lies”. Didn’t recognize Renata’s home as Nolan’s , but that’s why your loyal followers have you. Need to watch the episodes again to find more clues, also. It’s very twisted! Feud is well done, too. Oh, to have even half the money it takes to live like all these tv characters…but I’ll keep my happy life rather than their misery. What an ending! Shhhh…no spoilers! Didn’t see that coming at all. My best friend in junior high on Broad Beach ©1967-8….so beautiful and quiet then. Their house was old and nooky crooky. All of that gone now. It’s a gated community full of mcmansions…the maids spend more time in those houses than the owners. I’ve been watching Big Little Lies and it’s entertaining, but the characters are all pretty unlikeable. I much prefer Grace and Frankie, and have been waiting for this season to start – hooray! I much prefer these characters, as well as their beach house. Lovely! Home Town is cute and I like the changes they make to the houses they work on, but the format is soooo similar to Fixer-Upper. I wish they’d change it up a bit. I agree with you totally! I said the same thing to myself as I was watching the show…which was quite boring. I also noticed that they “buy” better houses than some of the disasters on Fixer Upper. I don’t think they have the construction/engineering skills to do major renos like knocking out a lot of walls, etc. It seemed to be mostly cosmetic changes and very minor work. Still, it’s a good enough to show watch. I’m sick to death of all the House Hunter type shows out there. 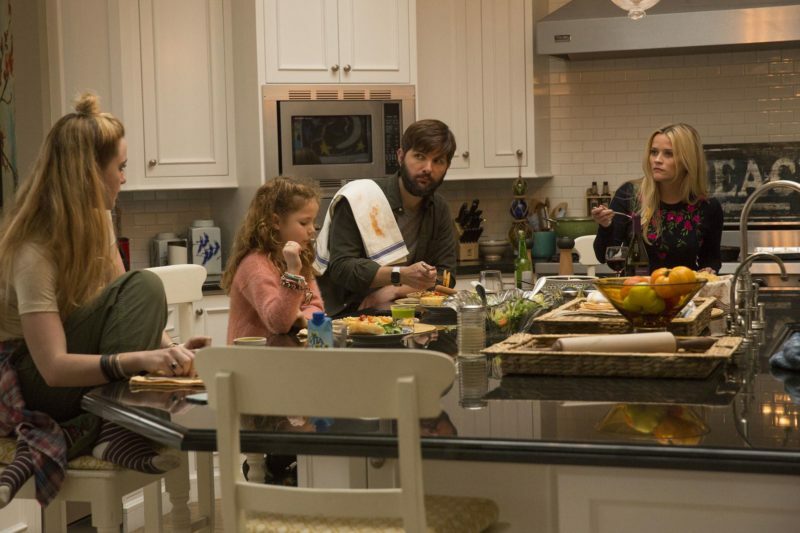 I am enjoying Big Little Lies (and really enjoyed the book) and I’m so glad you pointed out that Renata’s house was in Revenge. I never would have figured it out on my own lol. Renata’s/Nolan Ross house was also Jen’s house in 90210!! I didn’t know that — thanks!